Visit the Dom Diogo de Sousa Museum in Braga, Portugal. 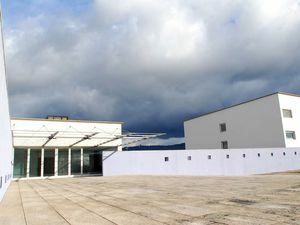 The Museu Dom Diogo de Sousa (Dom Diogo de Sousa Museum) is located at Rua dos Bombeiros Voluntarios in the historic Braga, in northern Portugal. This archaeological museum keeps an interesting collection of pieces of the origins of Braga. It has four rooms where show pieces from the Paleolithic (arrowheads, pottery and funerary objects) to the Swabian kingdom Visigoth period (centuries V to VII), through the Roman age. Near the museum you can visit the Roman Baths High Cidade do. Sunday from 10:00 to 14:00 admission is free.